Elanders F. submitted this photo and caption. This was taken at Jacksonville State University during all-days in 2005. It was a part of our corps "yearbook" photo shoots at Spirit. 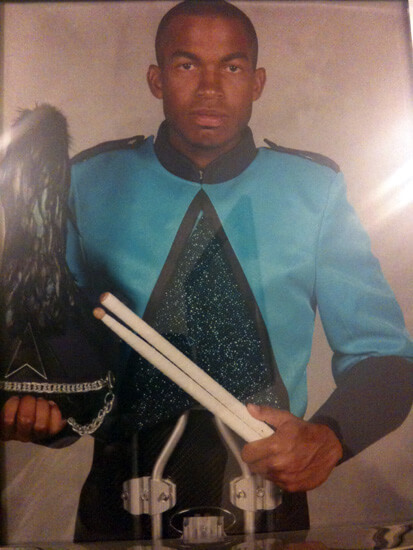 It was my second and final year marching DCI at Spirit, and I was the percussion section leader.